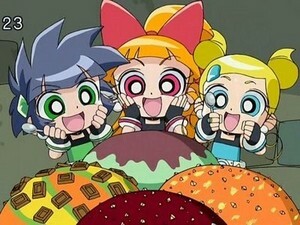 The Powerpuff Girls about to chow down on very big helpings of ice cream. . Wallpaper and background images in the powerpuff girls Z club tagged: photo.